Every chef knows the value of a good quality steak knife and how beneficial owning a set can be for your kitchen and customers both! So pick up the Dexter Russell international cutlery 6 piece jumbo steak knife set for your steak-cutting needs. 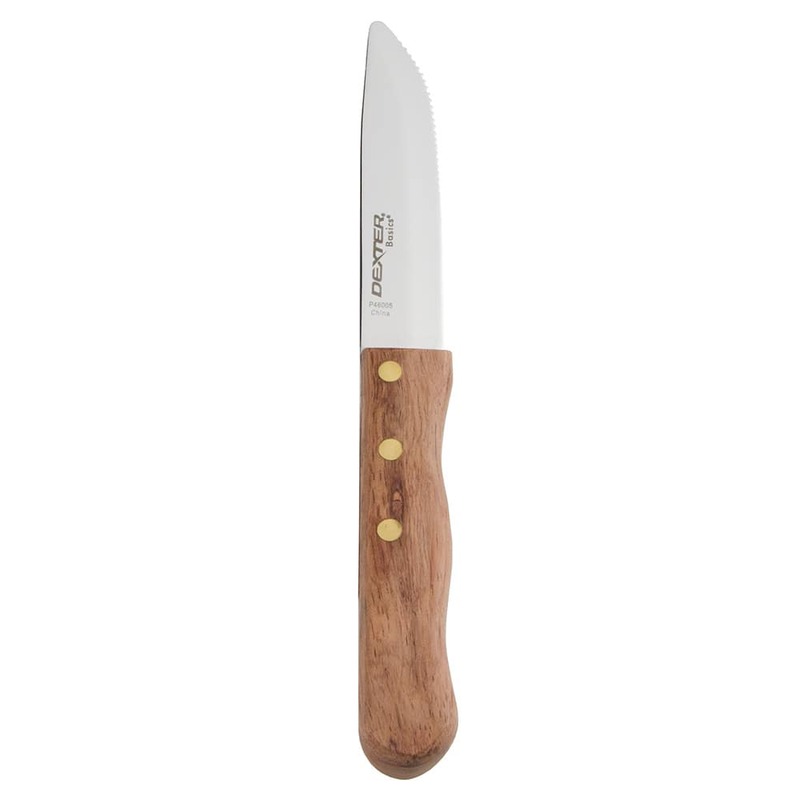 Each knife has a durable stainless steel blade and comes with an easy-to-grip wooden handle for your convenience. If you serve steaks in your restaurant, then the Dexter Russell international cutlery 6 piece jumbo steak knife set is just what you need. "Great steak knives. 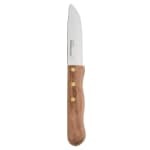 One of the six just has the rivets a little high on the handle so it's not a smooth finish as you grip the knife, but other t..."
"Great steak knives. One of the six just has the rivets a little high on the handle so it's not a smooth finish as you grip the knife, but other than that the knives are great."